Moving to New England has shifted my awareness of history back a century or two. As a result, I’ve been trying to refresh my knowledge of the Revolutionary War and realizing that my early education in mercantilism and the House of Burgesses and Colonial Virginia is woefully inadequate (and, unfortunately, mostly forgettable). The Fort at No. 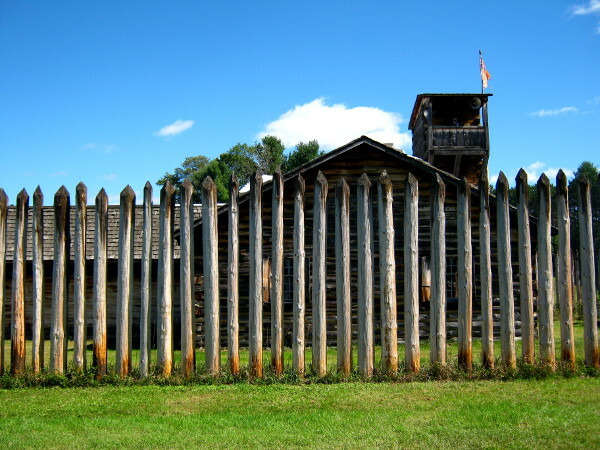 4’s perimeter fence consisted of stockade poles that were too tall to climb over, too close together for a man to squeeze through but too far apart to offer cover from the men shooting from the roofs of the buildings inside. So I jumped at the chance to see a battle reenactment at the Fort at No. 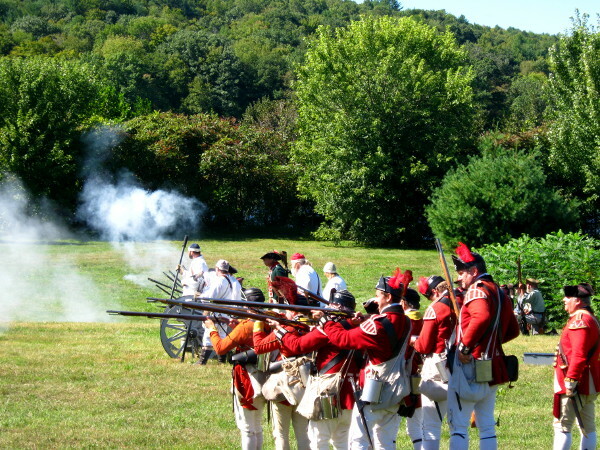 4, which had been the northernmost British settlement along the Connecticut River in New Hampshire until after the French and Indian War. 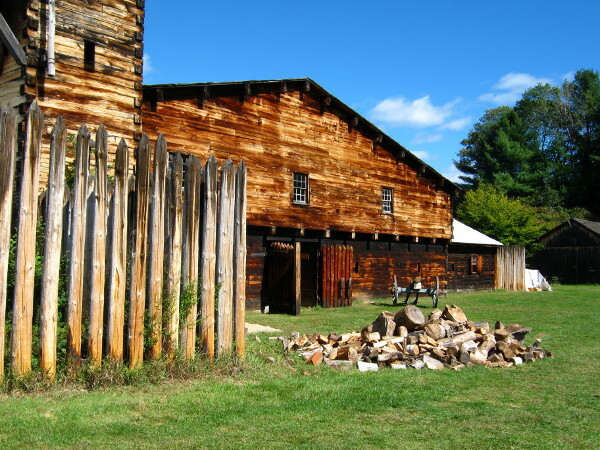 The original fort fell into disrepair after the Revolutionary War and was reconstructed in the 1960s as a living history museum. The modern builders did a very convincing job. 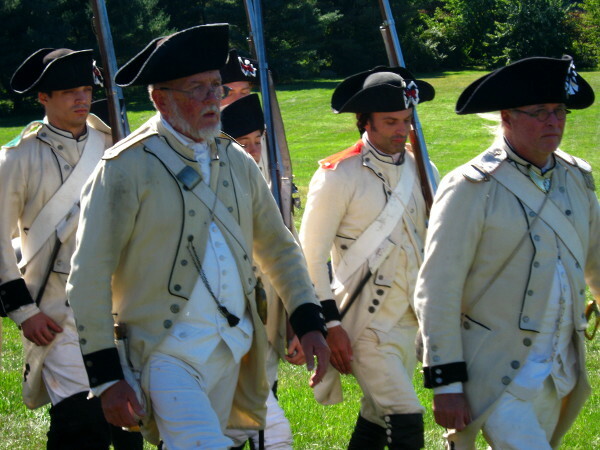 And the reenactors also took their jobs seriously. 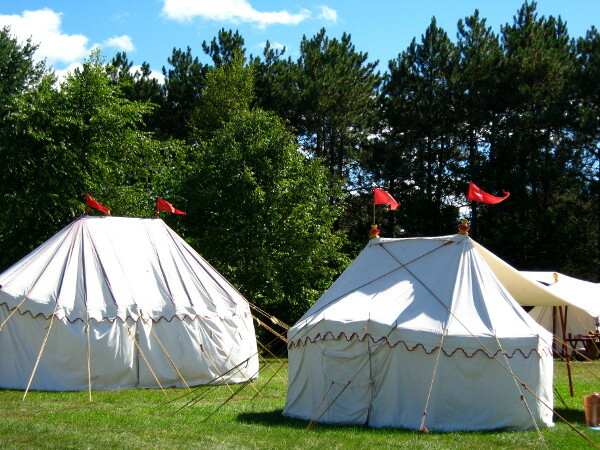 Everything from the canvas tents to the uniforms and wire-rimmed spectacles looked authentic and lived in. Fortunately for me, the battle was narrated by a man who stood in the watch tower and kept up a running commentary on the activities on the field, the war in general and the history of the fort. The gunsmoke smelled like rotten eggs because of the sulfur content of the gunpowder. The guns were uncomfortably loud and the cannons were ear-piercingly so, which made me wonder if all the men had hearing problems when they returned home. Sometimes the smoke from the guns drifted up as smoke rings. On a humid day, the smoke lingered over the field and quickly made it hard to see friend or foe. Men were often startled to find themselves side by side with the enemy in the confusion. Troops didn’t charge forward the way they do in the movies but marched in an orderly fashion. It took so long to reload that they often fired then ran behind the next wave of soldiers while they prepared their guns to fire again. Although we have a tendency to believe the push for independence was universally supported, the reality is that the country was divided: Roughly a third of colonists wanted independence from England, but a third were loyal to the crown and the rest just wanted to be left alone. At the reenactment, there were also “sutlers” selling their wares. I was surprised at the variety of teas available, but the man selling them assured me that colonists would have had access to Yunnan (one of the oldest teas), gunpowder and lapsang souchong. Russian caravan was a blend of teas that got its smoky flavor from the campfires of the camel caravans that transported it on the six-month journey from the Chinese border to the cities of Russia. The sutler said it is best drunk while holding a chunk of sugar in your teeth and gave me some rock candy to try it with. Incidentally, the fort’s name comes from its location in the fourth of a series of recently surveyed township land parcels.